As the demand for manufactured goods and services continues to grow, the impact of change on industry and manufacturing cannot be overstated. Technological breakthroughs result in revised plans and strategies; economies of scale affect not only organizational structures, but also geographical ones; and in recent years the areas of climate change, carbon emission, sustainability and scarce resources have come to the fore. Senior management is now required to inspire and lead businesses through increasingly uncharted territory. As well as a steady growth in private sector outsourcing, recent years have seen massive government spending on infrastructure - spending which is unlikely to diminish in the foreseeable future. But continued growth will only be possible if these organizations have the right people, and in the right numbers, to meet the many challenges they will face. In the current climate, securing the most able individuals to lead and oversee complex organizations is crucial. Long-term partnerships with clients are important to us. That is why we have been working to create a 'talent pipeline' so that, when a sudden need arises, there are people in the wings ready for action. It is this sort of creative thinking that distinguishes us and produces the tangible difference for our clients on which our reputation rests. We have nearly 6 years of experience comprising every aspect of placing highly professional specialists within the Engineering & Manufacturing industries. Our strength is to recruit highly talented engineers nationally. 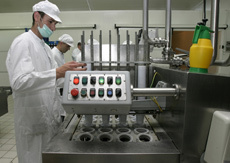 Tag44, Manufacturing recruiter’s team has knowledge of placing the TOP individuals across numerous industry sectors. Our team comprises highly professional consultants with a profound knowledge of, and extensive experience in, manufacturing & engineering industry. Most Manufacturing & Engineering consultants in the Industrial Practice hold an engineering or technical degree and have held management responsibilities in these industries. They understand business issues, and are fully aware of industry developments. As a result, we can offer our clients uniquely qualified advice on key human resources issues. Tag44 , Manufacturing team has vast experience of placing executive and middle management candidates across different industry sectors, including Aerospace/Aviation, Automotive, Agriculture, Construction Products /Furniture/Wood Products, Electrical/Electronic Products, Healthcare/Medical, Materials Handling Mechanical Assemblies/Fabrications / Pressings, Mechanical Engineering, Oil and Gas, Power Generation /Renewable Energy, Process Industries, Service, Technical Sales, Telecoms, Metals & Mining, Paper & Packaging and Transportation & Third-Party Logistics. With our solutions we can help our clients increase profitability by reducing your overhead, sourcing, and HR management costs and by lowering attrition and other associated costs. Specialized industry knowledge – Specialized recruiters in our manufacturing division know the unique skills and requirements of the industry. They also have broad connections in the industry and know where to locate the best people in the field. Quick response time – Because we are constantly recruiting people, we have a database of qualified candidates ready to go to work. Carefully screened, qualified candidates – The comprehensive hiring process at Tag44 ensures you get qualified candidates with the skills to fit perfectly into their positions. Streamlined management and reporting capabilities – We provide extensive staffing solutions to place and monitor employees and their performance. We also offer a suite of workforce management solutions. Finally, We specialize in getting it right the first time. With over 6 years in electronics and technical staffing, we speak the language, ask the right questions and know how to find the right people.